Yashwant Kumar (“Yashwant”) is an experienced consumer research professional and learnt his trade at Procter & Gamble (P&G). Yashwant led branding initiatives for Pantene & Pringles for the South East Asia markets prior to co-founding GenY Medium and GenY Labs. 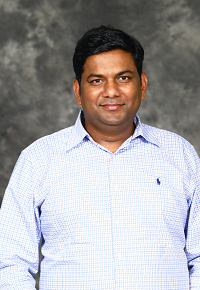 During his 6 year stint in P&G, Yashwant worked on brand marketing and upstream market research. He led several market research initiatives as part of his career in markets such as Japan, China and Singapore. Yashwant has a patent to his name in food processing technology. Yashwant is a B.Tech from the prestigious Indian Institute of Technology. Bombay.